Today there’s yet another Sketch we have to follow. In the beginning I had the window punch in mind obviously but as I urgently need some birthday cards and had the right mood for bright colors – this wouldn’t fit quite well. After some more thinking i had the idea to cut this simple square in 4 smaller squares and then one followed after the other. Ich habe also erst den großen Schmetterling auf ein quadratisches Aquarellpapier gestempelt und weiß embosst, danach mit Farbe und Wasser koloriert und danach in 4 gleichgroße Stücke geschnitten. I first stamped the big butterfly on a square water color paper and embosed it white. After that i colorized it with color and water and cut it in equal pieces of squares thereafter. Beim Hintergrund habe ich einmal mit der Prägeform große Punkte embosst und einmal ohne. 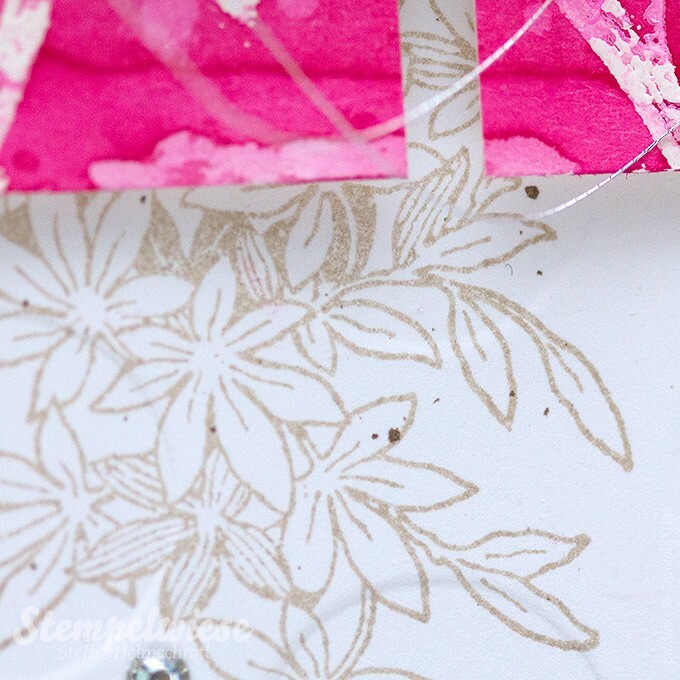 For the background i used the embossing folder Large Polka Dot. I embossed it with and without. It is your turn again now. Me and my friends from the GDP team want to see what you are coming around with. 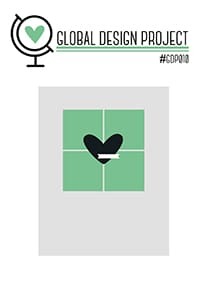 We want to see your creativity so please pickup our project idea and see what you can create. Link it here on our Blog. I’m looking forward to seeing your inspiration! wow, sind die Karten schön! Mir gefällt die Variante mit dem gepunkteten Hintergrund besser.Kannst du vielleicht ein Video darüber machen? So beautiful Steffi! I love the bright colours. The pink one is my favourite both because of the colour and the embossing folder. I love it! die Karten sind ein Traum! My mouth is wide open. 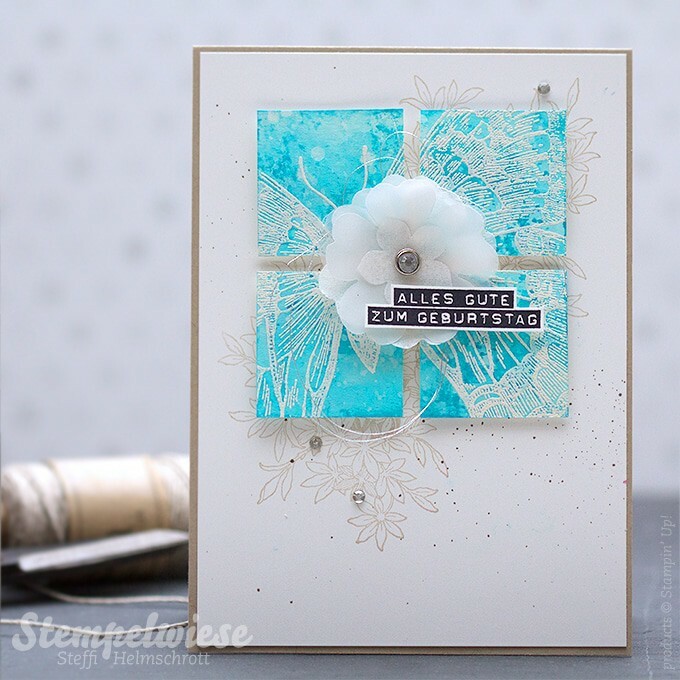 This card is STUNNING, Steffi! 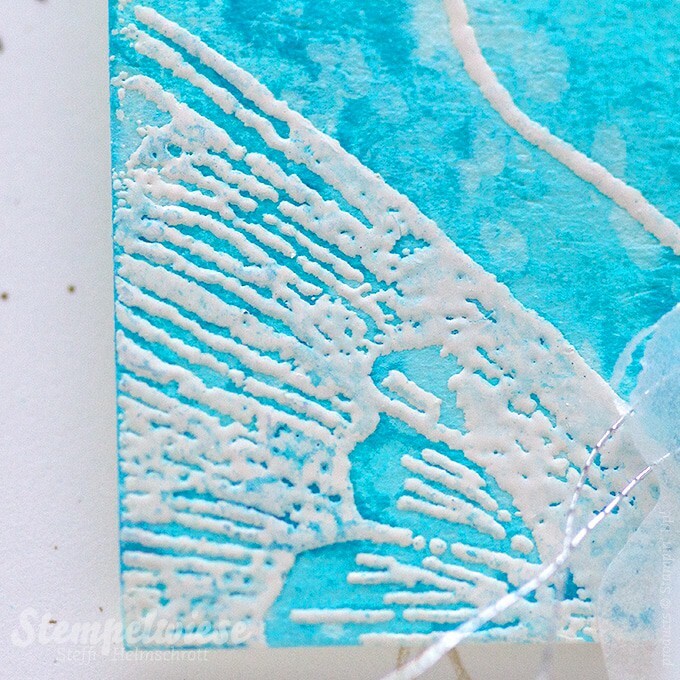 I love the gorgeous texture you’ve created with the Swallowtail stamp – so creative! I can not tell you how much I love these cards. Every single detail is stunning! zwei tolle Karten,mit riesigem Effekt.Habe sie mir gleich auf Pinterest gesichert. You make it so hard to choose a favourite Steffi, as I love them both! I think the turquoise has such a „pow“ to it, that would have to be my personal fav. Love them both though! Wow, dass sind ja knallige Farben. Das gefällt mir richtig gut. Der große, weiße, embosste Schmetterling im Vordergrund und die Blätter dahinter, wirken richtig gut. Mir gefallen beide Karten. Deine beiden Karten sind fantastisch! Beide Farbvarianten finde ich großartig!